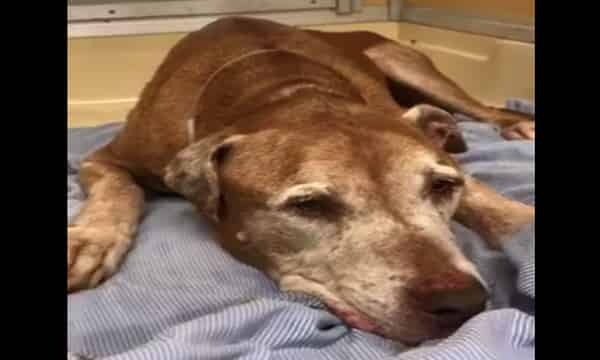 URGENT‼️‼️ 🆘🆘 The shelter sent out a plea to all rescues a couple of days ago for Roman #A1906120 8 yr old Lab mix senior pup. Please take a look at this video and you will see that poor Roman is giving up, he doesn’t have enough strength for whimpering or getting up. He refused to eat treats and he kept closing his eyes. 8 years old, male. Approximately 65lbs. The volunteer pulled me over to make sure this one didn’t go unnoticed. Very sweet boy who deserves a forever family. Please share so that becomes a reality. 0 Response to "Poor Roman is giving up, he doesn’t have enough strength for whimpering or getting up"